Home > Retractable Awnings > How to maintain retractable awnings? Check the functionality of the awnings regularly, no matter if it is automatic or manual. It would become harder to open the shade if it blends. So in order to keep the hardware from blending, you need to extend the coverings at regular intervals during off-seasons. Look for any wear and tear in the awning mechanism at least once in a month. The wind can switch the linings present in the awning and make it difficult to open and close. Thus, inspect the joints and poles when you set the covering and make sure that there are no irregularities. By repairing small kinks and greasing the squeaking parts, you can extend the lifespan of the awnings. You need to protect your awnings from rusting. Check regularly if there is any rust present in the poles and the awning mechanisms. The presence of moisture contributes to the development of rust in awnings, especially at screws and joints. If left ignored, the rust could make the joints to fuse together. The perfect solution to get rid of rust spots is to lubricate it. Also, check for mould spots in the material as they could break down the fabric. You can use anti-moulding agents for this purpose. Initially, hose down the fabric for removing any loose debris. You can also use a broom and brush them off. Get rid of any dirt and stains in the fabric by using soft brush, mild soap and lukewarm water. Never use household detergents. The water shouldn’t puddle on the fabric. So, before retracting make sure that the fabric is dried completely. Do not leave any part of the awning. And while cleaning, start from the bottom then work your way up. Shrubbery and vines shouldn’t be allowed to grow near the awnings as they have acidic contents that can damage the fabric. 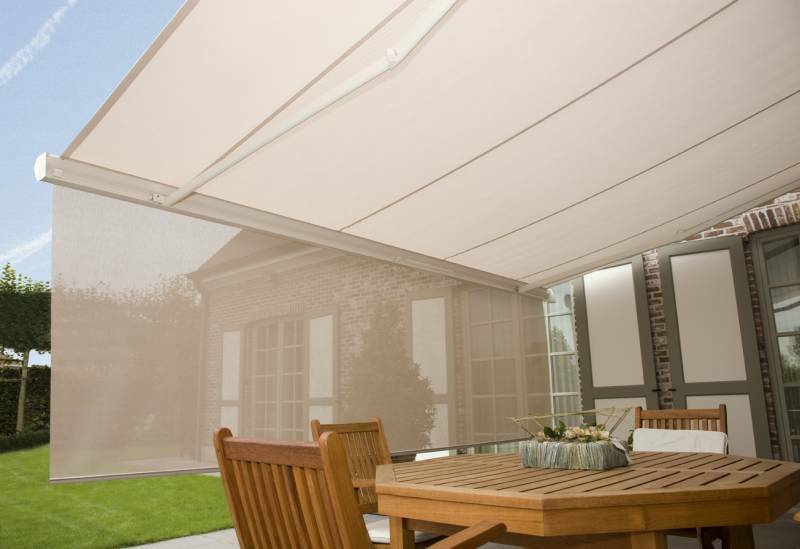 Most Retractable awnings are meant for sun protection only. It is not recommended to use them during strong wind, snow, hail and storm. Spend some time to take care of your awnings and they would take care of you.